With shoreline on four of the five Great Lakes, Michigan offers visitors hundreds of miles of family friendly freshwater beaches, perfect for summer vacation. 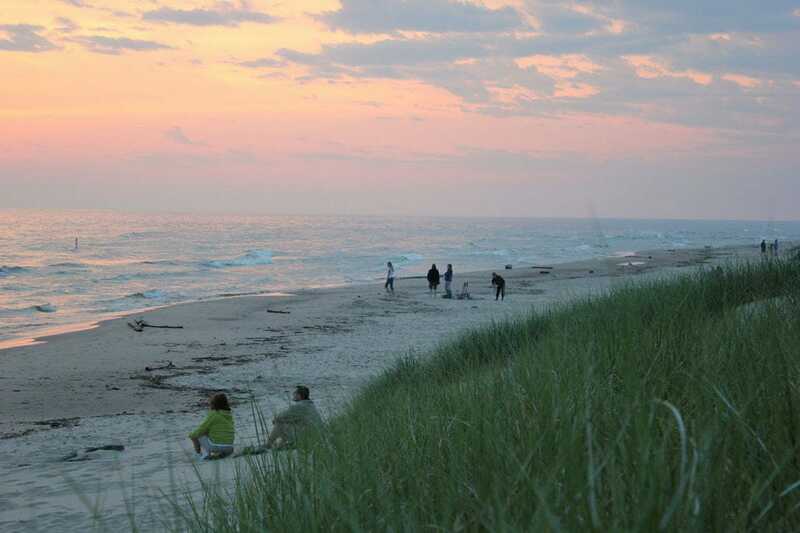 From spectacular sunsets to the adventure-fueled sands of Sleeping Bear Dunes, there's a beach for every taste. 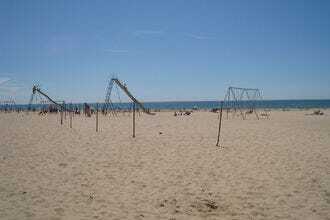 Popular among families, Pere Marquette Park in Muskegon features a powdery sand beach, as well as a playground, fishing pier and picnic area. 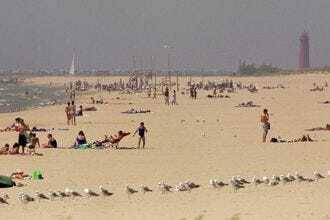 It's one of only three nationally certified Clean Beaches on the Great Lakes. 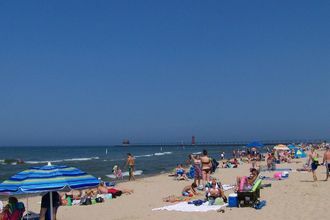 The 48-acre Grand Haven State Park is home to a beautiful sandy Lake Michigan beach on the west side of the park. 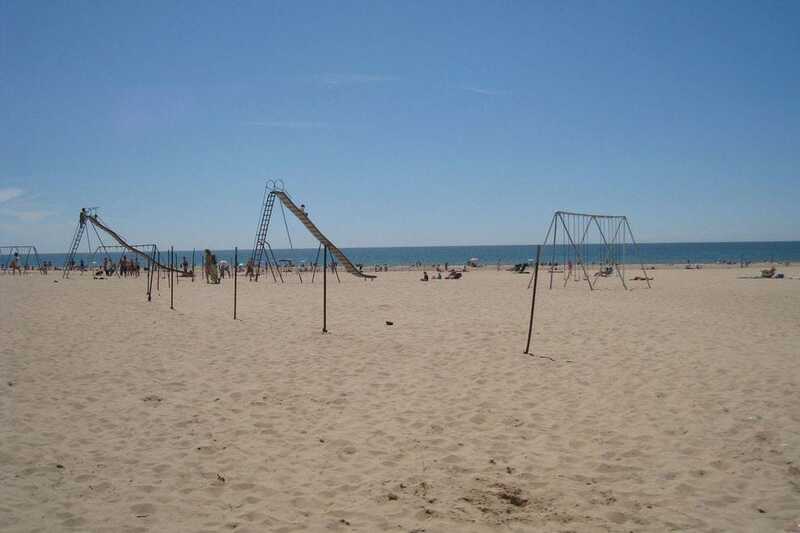 Other amenities include a picnic area, boardwalk, playground equipment and 174 campsites. 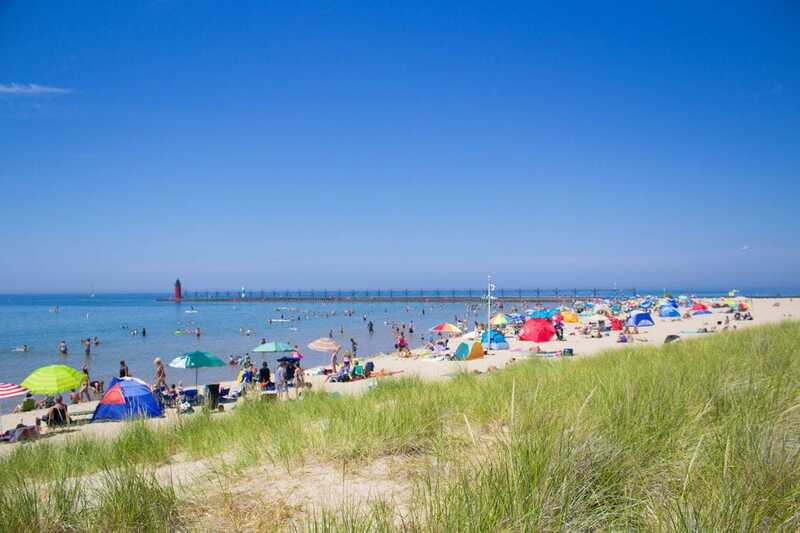 One of the largest beaches in Manistee County, First Street Beach has it all: a designated swimming area, walkable pier, fish cleaning station, playground, picnic area and dedicated dog beach. 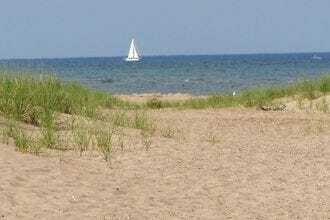 The main beach in Saugatuck, Oval Beach features a long sweep of shoreline backed by undulating sand dunes. Summertime amenities include a picnic area, concessions and convenient parking. 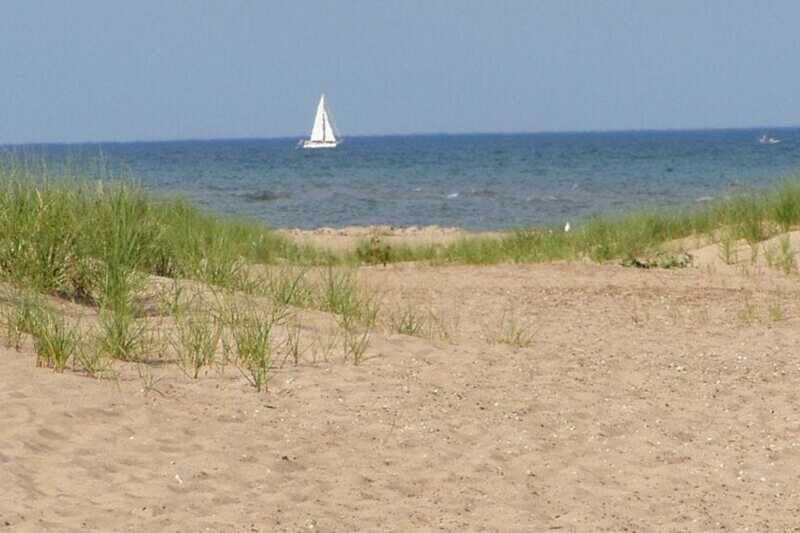 This ADA-accessible beach in South Haven has everything you'd need for a day of fun in the sun: grills, a picnic area, playground, restrooms and views of the red South Haven lighthouse. 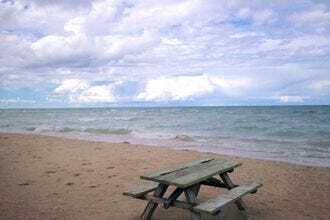 A popular family beach, Stearns Park Beach in Ludington has 2,500 feet of sandy beach, as well as a playground, skatepark, grills and picnic tables, volleyball, shuffleboard and mini golf. The beach is a favorite for watching a Lake Michigan sunset. 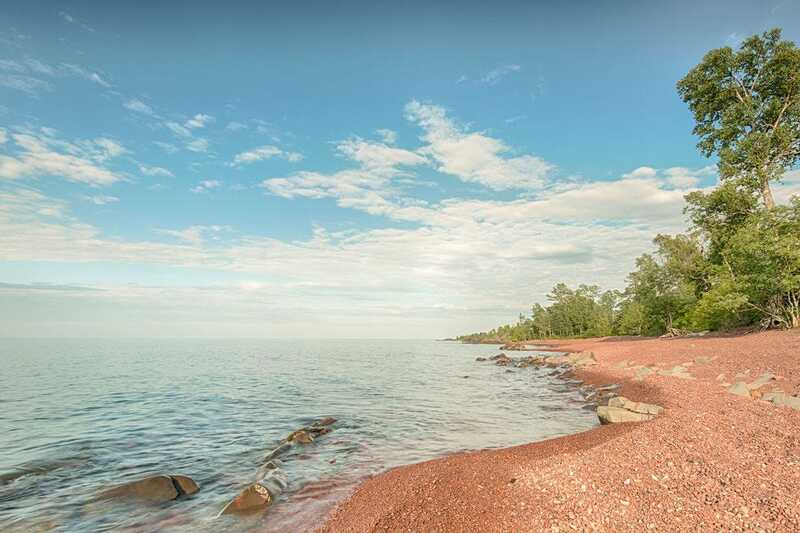 Jutting out into Lake Superior in Copper Harbor, Hunter's Point Park features a rather unique red sand beach. The surrounding 9.4-acre park is also excellent for hiking and biking in summer, skiing and snowshoeing in winter. 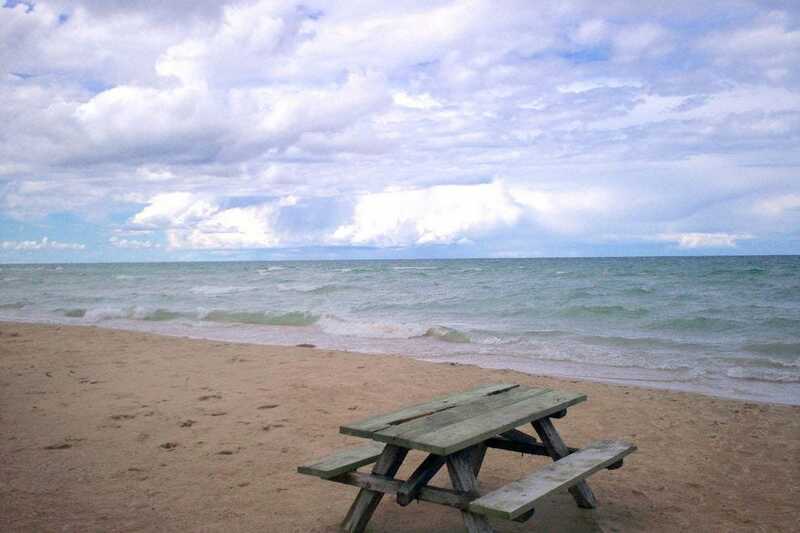 The heavily wooded, 300-acre Hoeft State Park near Rogers City includes an excellent beach on Lake Huron with its own lakefront picnic shelter, all within 100 yards of a modern campground. 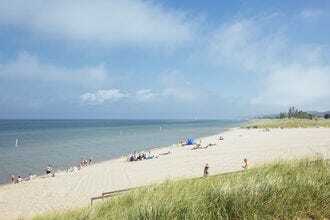 PJ Hoffmaster State Park protects 3 miles of Lake Michigan shoreline. When not swimming or sunning on the sand, visitors can climb a staircase to the top of a high dune for panoramic views of the dunes and lake. Tawas Point State Park occupies the end of a sand split on Tawas Bay. 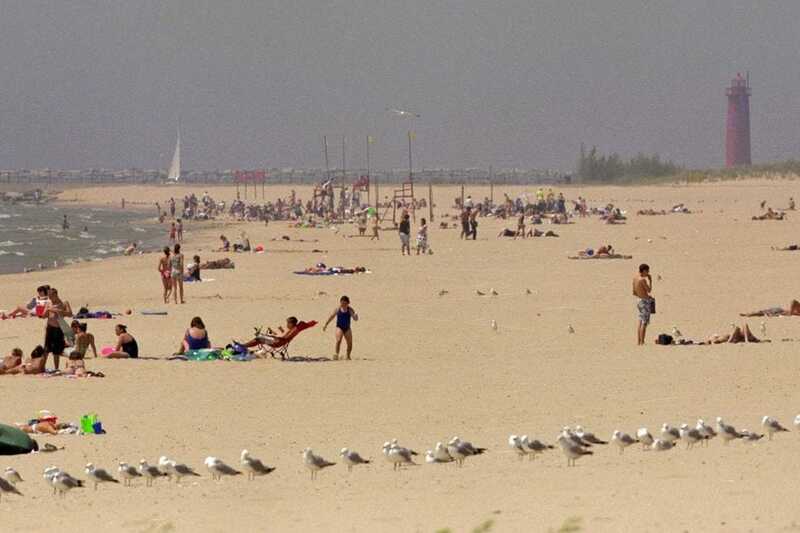 Known by some as the "Cape Cod of the Midwest," this beach destination boasts warm, shallow water for swimming and camping near the lakeshore.